WEST LAFAYETTE, Ind. — Applications are available for the Purdue University Alpha Chi Omega chapter scholarship, which is awarded each year to a student whose college career has been touched by the arts. The annual scholarship, which was endowed in 2002, is awarded to a Purdue student who has demonstrated excellence in visual or performing arts either through a major in arts or as a non-arts major who is eligible through participation in campus arts organizations. Applications must be submitted by 5 p.m. Feb. 15, 2010. Freshmen, sophomores and juniors with a minimum grade point average of 3.0 and a previous semester index of 2.5 are eligible. The scholarship will be awarded for use during the 2010-2011 academic year. Applications for the scholarship are available at Yue-Kong Pao Hall of Visual and Performing Arts, Purdue Musical Organizations, Purdue Bands, Office of the Dean of Students, Student Activities and Organizations, Black Cultural Center and the Office of the Vice President for Student Services. The scholarship will be awarded at the University Honors Convocation on April 18, and the winner will have his or her name added to an Alpha Chi Omega recognition plaque that is hung in Yue-Kong Pao Hall of Visual and Performing Arts. Alpha Chi Omega was founded in 1885 at Depauw University in Greencastle, Ind., by seven women from the school of music. Today the women’s fraternity is on more than 132 campuses. 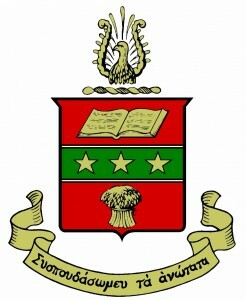 Purdue’s chapter was chartered in 1918 and is the 25th oldest chapter in the nation.